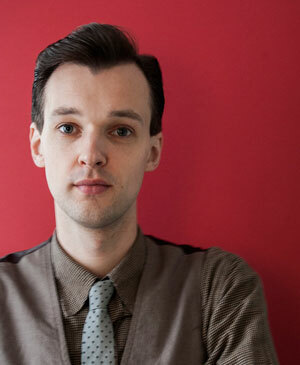 We are very proud to be able to introduce Jacob de Graaf as one of our pattern designers! As the designer behind the label “Modern Folk” Jacob makes fabulous cross stitch patterns. His inspiration comes from Scandinavian and Nordic folklore, as is evident in his designs which often has elements of the "Nordic Star". Jacob is from the Netherlands but currently lives in York, England. With a keen interest in anything Scandinavian, Jacob has studied both Danish and Swedish - and we do our best to make sure he doesn’t forget what he’s learnt! Jacob and The Folklore Company share the same vision - to create traditional handicraft for modern people! We love his work - and hope you do to! To see more of Jacob's work, check out www.modernfolkembroidery.com. The inspiration for this pattern comes from a Swedish folk song, Robyn and spring flowers. "Norwegian Star" is a frequent feature in embroidery design - but rarely has it been as beautiful as in this one!